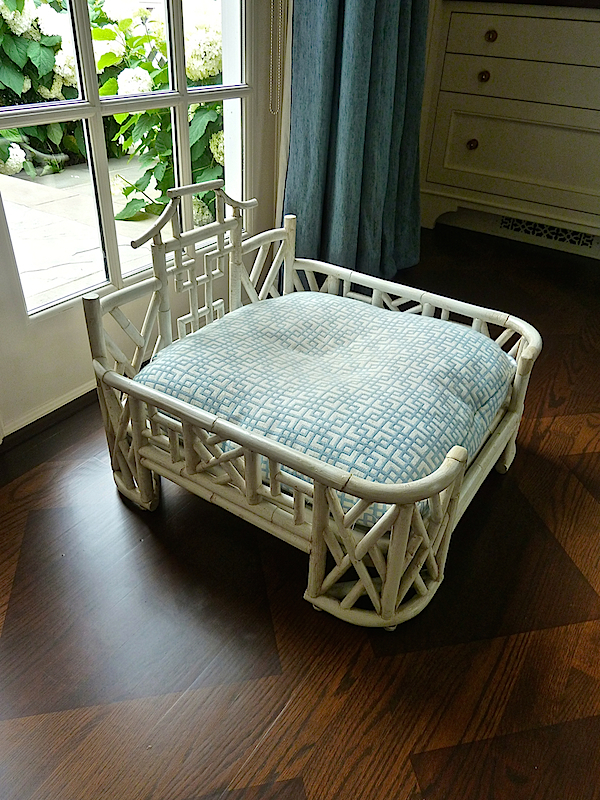 It’s impossible to visit Alex Papachristidis at his country home without wanting to move in. And you wouldn’t be alone. His large family is close and inseparable. 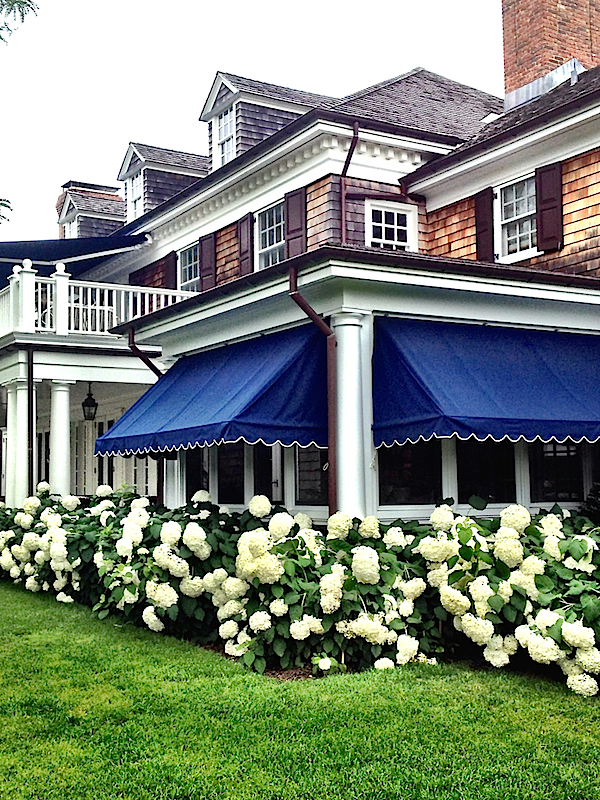 So inseparable in fact that eight of them all share their impossibly chic residence in the Hamptons, which Susanna Salk and I were delighted to recently visit. 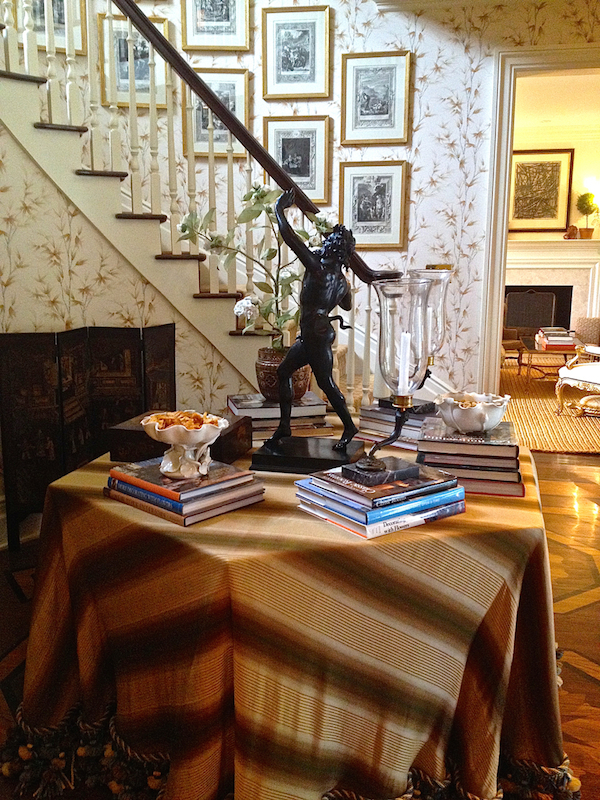 Tag along while we take a peek at stylish summer life with the designer in his family digs. Originally a spec house, bought under expedited circumstances to accommodate the extended family (one family member’s house had been destroyed in a storm and another’s was being sold), Alex has transformed it into a sophisticated yet welcoming home inside and out. and yet room for everyone, including Alex’s cherished Yorkie Teddy. 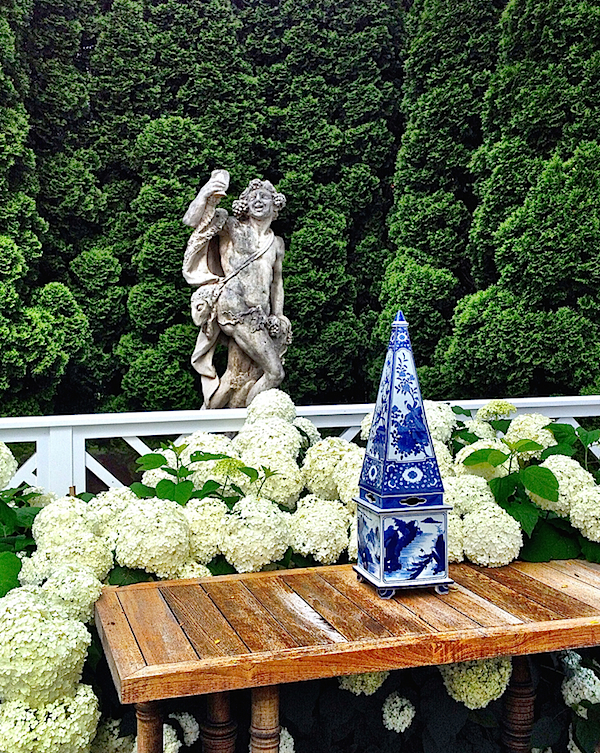 One of the most unique aspects of the property is the family’s collection of outdoor sculpture. With incredible pieces and thoughtful siting, as Alex explains in the video, the outdoor spaces are dramatically enhanced. 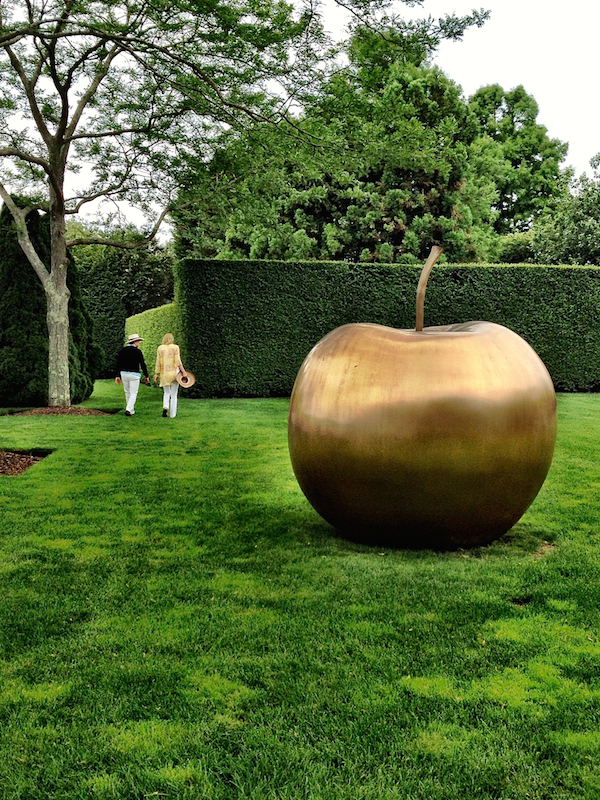 Claude Lalanne’s bronze apple is a brilliant statement in scale. 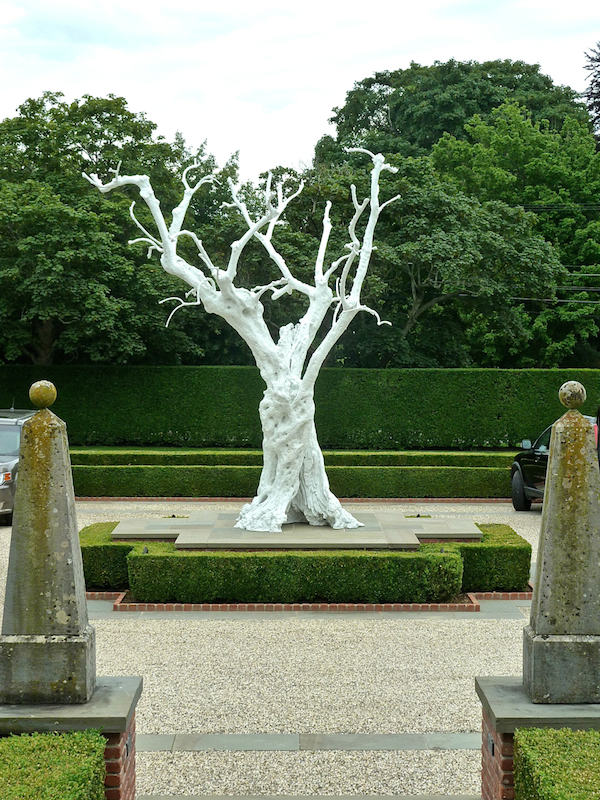 with iconic Ugo Rondinone pieces in front and in the new allée shown in the video. Alex’s gift is not only creating an environment of luxurious beauty but the level of warmth and hospitality with which he shares it. He knows how to live life to the fullest and is delighted for you to partake. So thank you Alex for sharing your home and family with us. It was a most special treat. And for those who cannot personally enjoy Alex’s generous cordiality, there is always his book, full of beautiful projects and insightful ideas. It’s the next best thing! 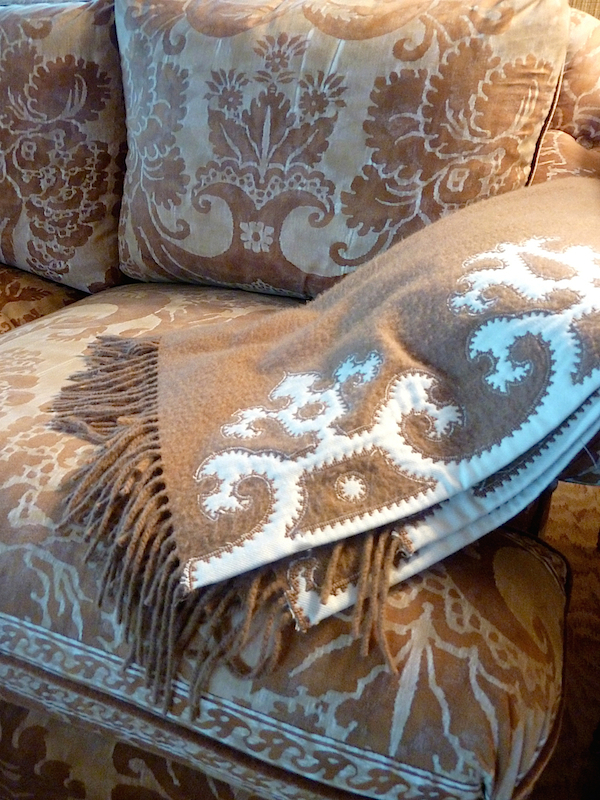 This entry posted in At Home with, furniture, garden, interior design, Quintessence video series, Stylish Shopping, travel. 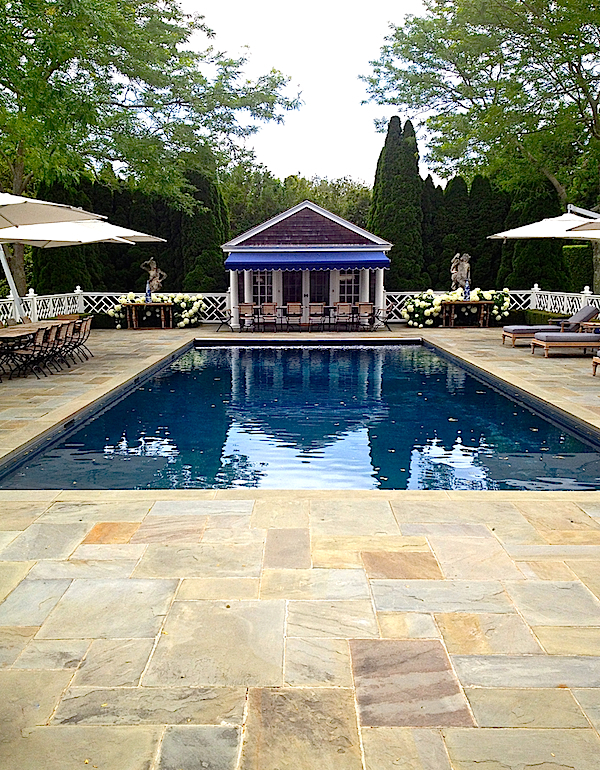 Entry Tags: Alex Papachristidis, design video, Hamptons, interior design, Luxury lifestyle Bookmark the permalink. Of all of the amazing descriptive phrases that could be used to describe this wonderful home, “Happy” seems to suit it to a tee. Beautiful. Thank you so much for this peak. Stacey and Susanna, bravo for another wonderful video event! I adore Alex and his design works! 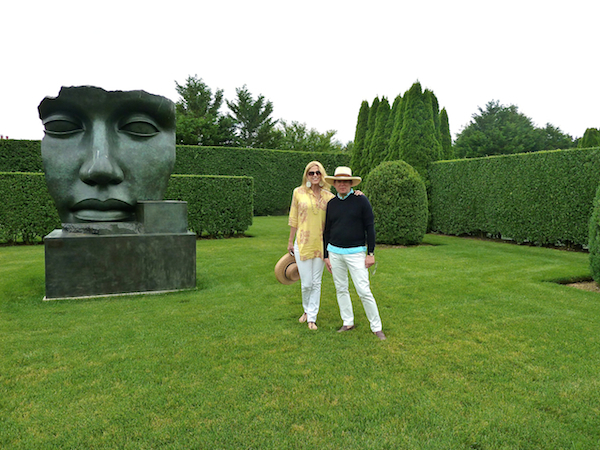 The family home in The Hamptons is so gorgeous; I especially admire the outdoor sculptures. 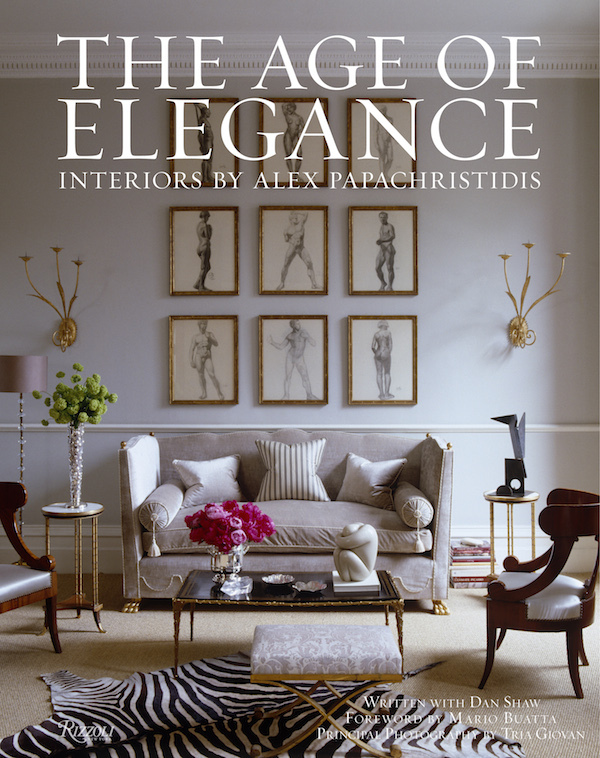 The Age of Elegance is a book everyone should have in their library! 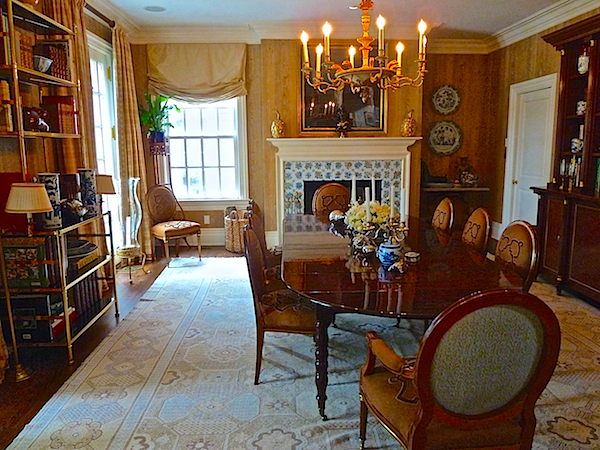 What a beautiful Hamptons home – so elegant yet so welcoming with room for all! We’re huge card game fans as well so we’ll need to look into the Greek game they were playing in the video. Hope you’re having a great summer so far, Q! What a joy to see the gorgeous photos and watch your “interview”. Mr. Papachristidis is quite a talent and a most gracious host. that fortuny sectional kills me. i’m dead. Alex seems like such a nice, warm gentleman. Loved this video! I so enjoyed your video. Alex and his family seem so down to earth. I recently purchased his book and it is my favorite go to interior design decorating book. Your video certainly proves how talented he is. Now if I could only get an invite to that gorgeous home in the Hamptons. I even want to meet the adorable “Teddy.” Susanna your video’s are the best….congrats on a superb job…!!! I enjoyed the video immensely. Graceful, joyous elegance. 81 queries in 0.897 seconds.